Four Seasons Tented Camp Golden Triangle offers a very special remote travel experience highlighted by elephant treks, spa treatments and exquisite gourmet dining. This is the adventure of a lifetime, in the wondrous natural surroundings of Northern Thailand, bordering Myanmar (Burma) and Laos – the area infamously known as the Golden Triangle. 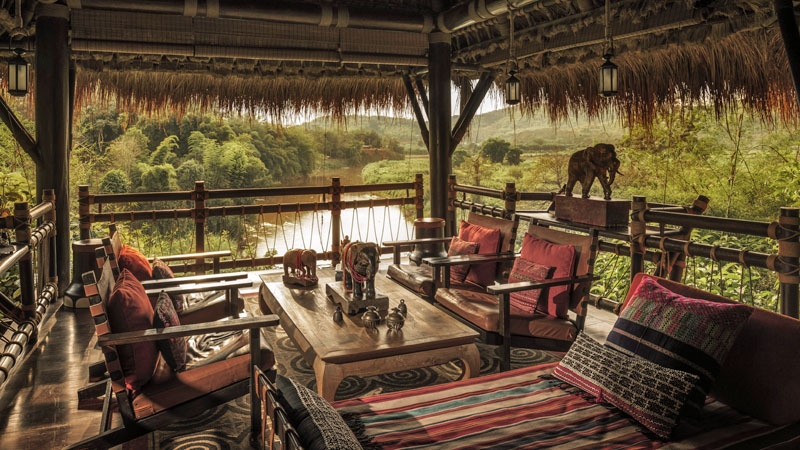 This unique ‘Tented Camp’ offers a freeform pool by the river and exotic spa treatments. The luxuriously appointed ‘Tents’ feature a private balcony, air conditioning, minibar and Wi-Fi. Four Seasons Tented Camp Golden Triangle is the perfect escape from the rest of the world, in quite an extraordinary setting.